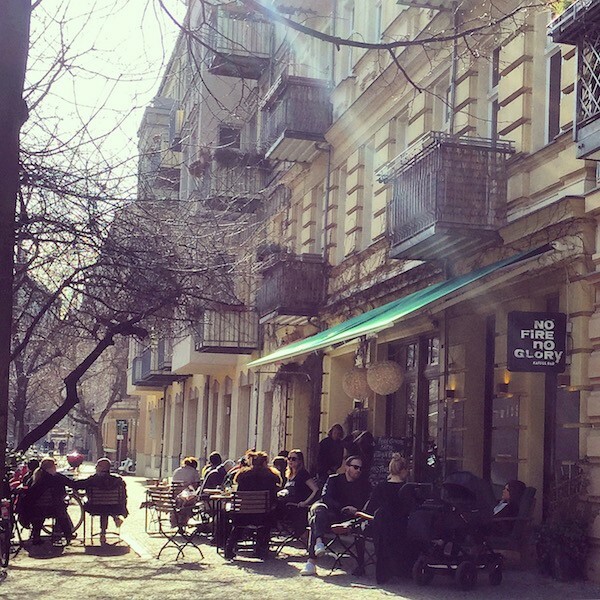 On sunny days and warm nights one of our favourite things to do is to explore Prenzlauer Berg, one of Berlin’s prettiest neighbourhoods. This neighbourhood, once the epicentre of working class Berlin and government resistance, has undergone significant gentrification in the past few years. After reunification this area became one of the most bohemian parts of town (a similar feel one can nowadays experience in hipster Neukölln). Although some people will tell you it has become too “soccer mom” for them, we guarantee that you can have a great time here. The architecture in Prenzlauer Berg is characterised mostly by old beautiful buildings. It was relatively spared from the second World War destruction. So if you just want to wander around aimlessly, this is a great place to do so (we do it all the time). This post is meant to give you some tips of the best streets, squares and places to explore and hang out. Break down, combine and change our suggestions as you will. Each “itinerary” is meant to cover half a day. 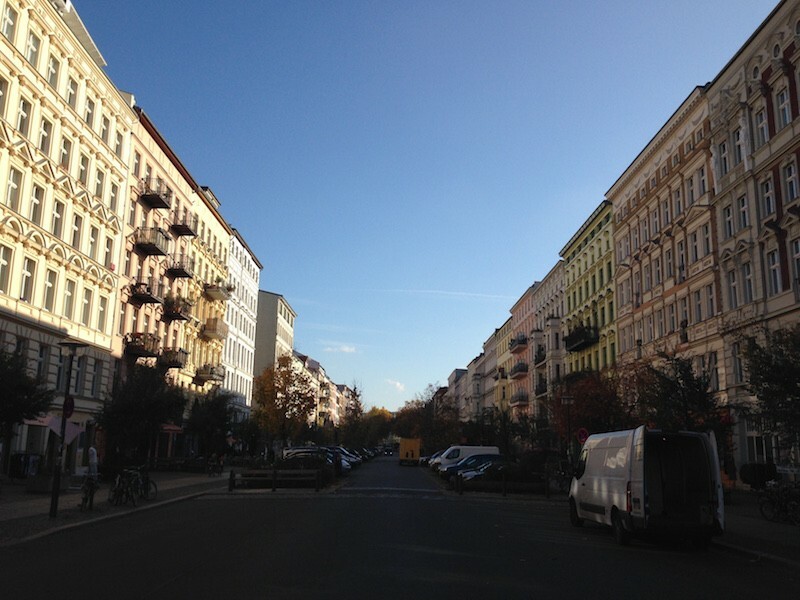 ENJOY AND EXPLORE PRENZLAUER BERG! Come here on Saturdays for the atmospheric street market. There are a few areas for kids to play, but it is also adult friendly. Stop for cake and coffee at Kaffeehaus Sowohlalsauch. Stop for coffee one of the cafés (we love No Fire No Glory) and spend part of the day soaking up the sun and reading a book on the square around the Water Tower. At night, make reservations at Tim Raue’s La Soupe Populaire and hang out at cool bar Le Croco Bleu afterwards (all inside the old ruin of the Bötzow Brauerei). Spend a lazy Sunday morning at Bonanza Coffee Roasters and go for the ultimate flea market in Berlin. 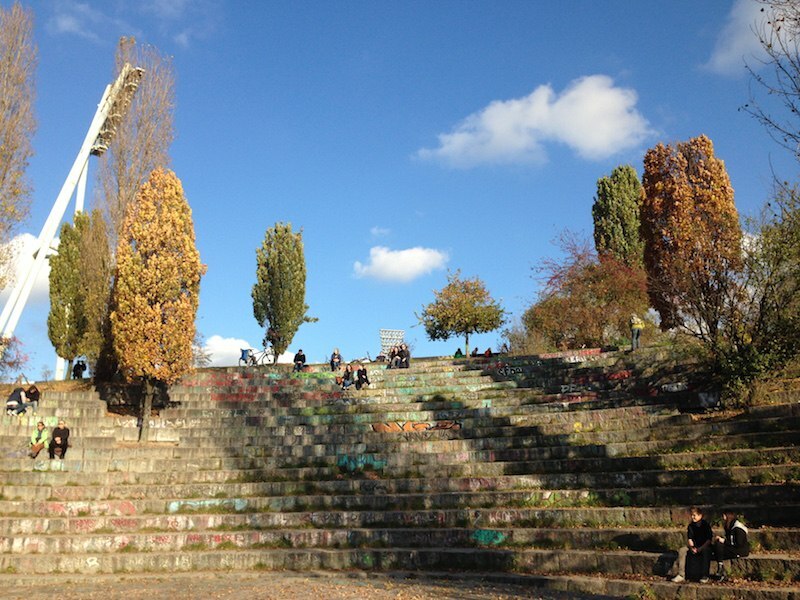 Hang around until mid afternoon for a giant public karaoke at Mauerpark. For a more “local” experience cross the park to Gleimstrasse and walk up Schwedterstrasse (stop at Café Niesen for coffee) and cross the bridge over the train tracks towards Bornholmerstrasse (this was the place where, on Nov. 09 1989, people from East Berlin were able to go across the Wall for the first time). Walk along the memorial (behind the buildings, not on Bernauerstrasse) from Mauer Park towards Mitte until you hit the Memorial exhibition building passing through quiet a few important and thought provoking memorials. Make sure you climb up the observation deck on Bernauerstrasse corner with Ackerstrasse. 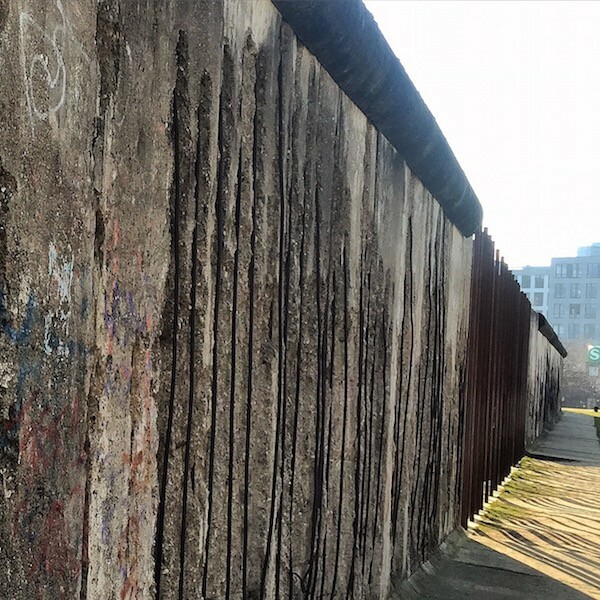 (Can be combined with Oderbergerstrasse and Mauer Park for a full day). Go out for drinks or coffee (night or day) on one of the many cool bars around Helmholtzplatz and the above mentioned streets. You are bound to find pretty people and have a good time. The bar scene here mostly composed of neighbourhood, chill bars. Try Bryk Bar for a more upscale cocktail experience. Spend the afternoon walking up Kastanienallee from Rosenthaler Platz (in Mitte) towards Ebeswalderstrasse. This area offers some quite interesting window shopping experiences. Before sunset stop by Prater Biergarten (a Berlin institution) and have beer until it’s time to hit the clubs. Also stop for a “currywurst” at Konnopke’s (under the rail tracks). 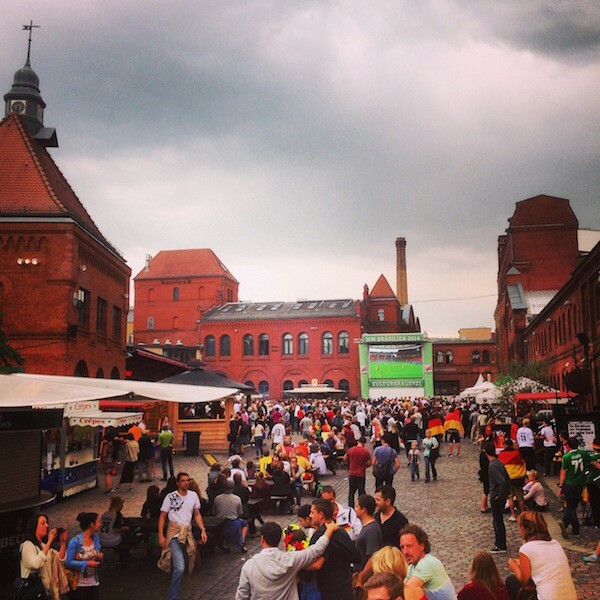 Check out the event calendar at Kulturbraurei (an old brewery complex turned into event and bar space) and go for it (we watched the World Cup Final here…it was awesome!). On every other Sunday, there is a street food market (Street Food auf Achse) that is worth checking out. 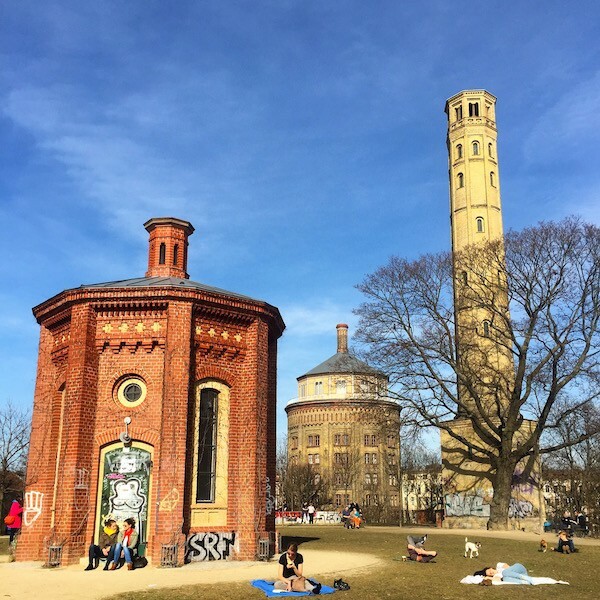 Find out more about Kulturbrauerei (Prenzlauer Berg’s “Culture Brewery”) and/or check out our guide for enjoying the perfect Sunday at Mauerpark. A cozy, lively, friendly and delicious corner bar in Neukölln.